One of the oddest 'trends' to go viral in 2018 was perhaps the 'flying wedding veil' which captured everyone's attention for better or for worse. The 'flying veil' involves a bride standing at the end of the aisle as her veil is launched at her. The veil then floats through the air and then gracefully landing atop her crown before she continues towards her other half to say her I dos. Something different, anyway. The wine wall popped up in comedian Iliza Shlesinger's wedding over the summer and we were sold. “We didn’t want the party to feel formal or stuffy,” Iliza told Brides.com, explaining how her venue in downtown LA was in danger of looking too much like a 'warehouse party'. 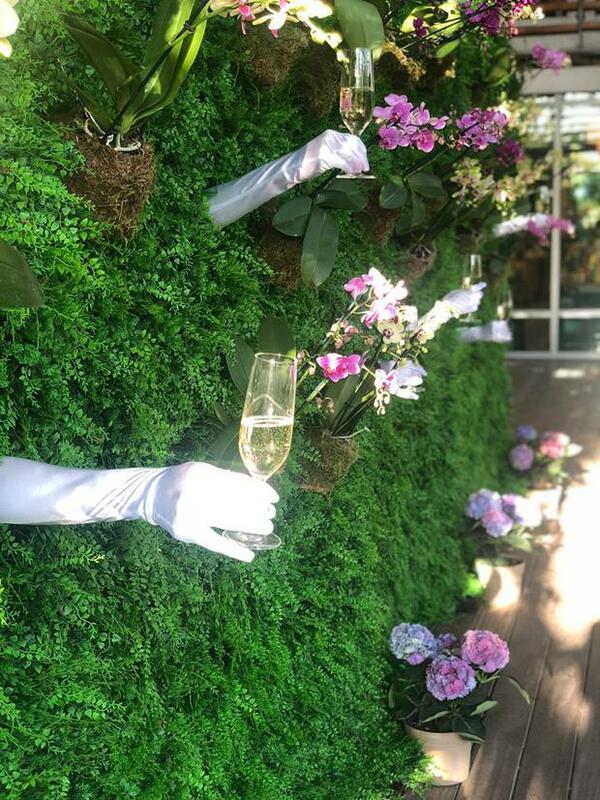 So, for some added whimsy, they decided to welcome guests with a 'wine wall' - whereby glasses of wine are handed to guests through a giant boxwood head by mysterious unseen waiters. 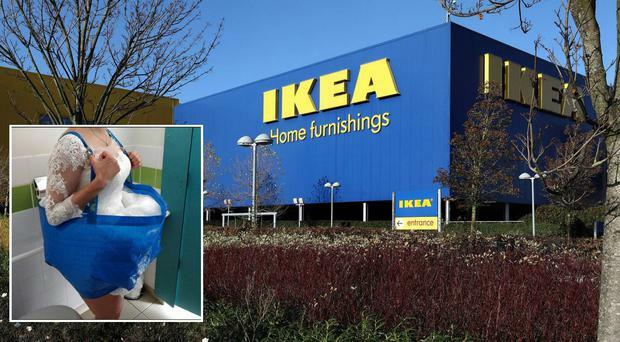 In June this years were were taught that IKEA bags are the vast hold alls that keep giving when one woman shared her hack for using one to go to the toilet in her wedding dress. The post has no doubt changed the lives (or at least the toilet habits) of brides everywhere and been received with relief by bridesmaids who can tick at least one thing off their lists for the day. 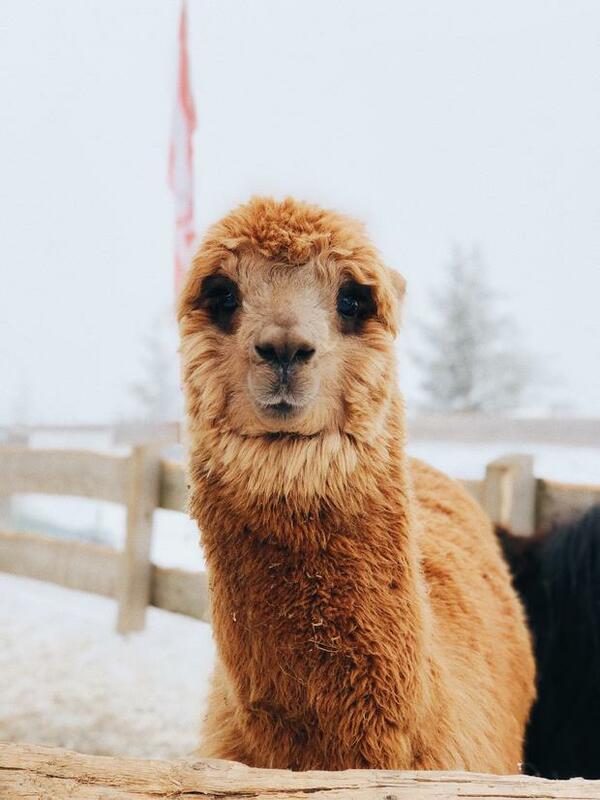 While many wedding trends from across the globe tend to be looked over by Irish couples, a surprising one that found its footing on our shores was the idea of having alpacas at your big day. Alpacas popped up in wedding photos on Instragram initially (of course), with cute couples posing with a pair of cuter (and sometimes, better dressed) alpacas for no other reason than alpacas are adorable. A few farms around Ireland have decided to opt in on the trend for more exotic animals at weddings by hiring out their little ones for couples to coo over on their big days. Ring finger tattoos are so 2017, this year was all about piercings. 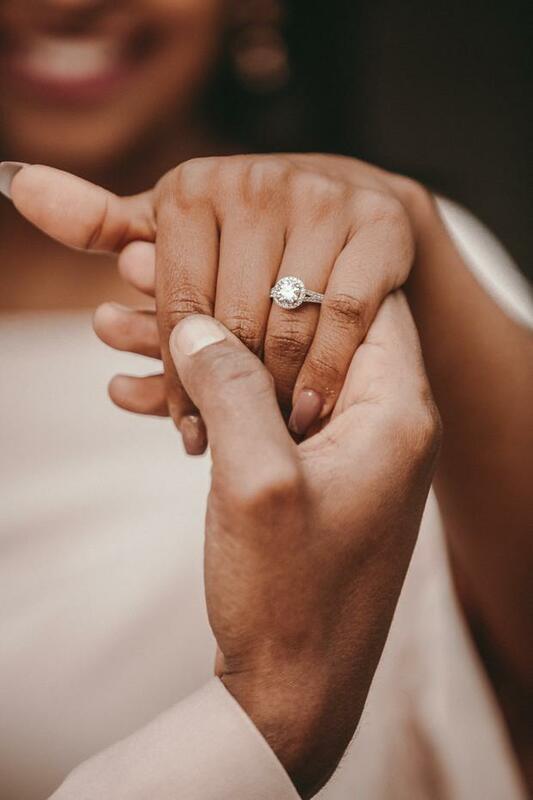 Couples took to social media this year showcasing their 'emgagement dermals' in lieu of traditional engagement rings, whereby a flat plate sits beneath the skin and is connected to a changeable stud visible on the surface. Finally, less of a trend perhaps and more of a 'unique moment in wedding history' was the bride whose dress was a glorified drinks stand. Scottish bride Kelly McMillan's alcohol-embellished 'dress' held up to 50 Champagne flutes, so guests could pop over for a chat with the woman of the moment while also grabbing a glass of bubbles to enjoy before dinner. 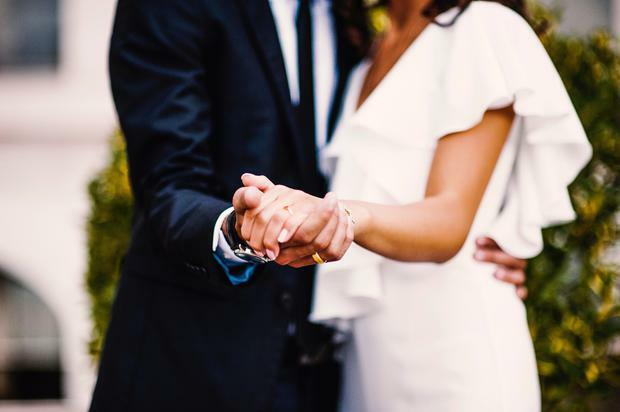 While most couples on the road up the aisle are probably familiar with the idea of pre-marriage counselling, the latest trend in a pre-wedding relationship spring clean is something a little different. The idea of the pre-wedding cleanse is for individuals entering into marriage to address their past relationships solo, digging deep into issues with exs and exercising any existing relationship demons before tying the knot. "No matter how hard we try, most of us are still haunted by the ghosts of past relationships," Amy Nelmes Bissett wrote in Grazia this year, where she recounted her experience with pre-wedding therapy. " Sooner or later, that has an impact on our marriage, unless we address the issues head-on." While Amy's sessions cost her £200 a pop, other budget-conscious brides were doing theirs DIY, with one bride-to-be celebrating and ridding herself of past relationships in a so-called 'd*** cleansing ceremony'. When someone decides to pop the question, the pressure to make it an amazing, memorable moment can feel immense. And often that person feels like they've to pull it off all on their own. Not in 2018! We met the proposal planners who are setting the trend for perfectly executed Hollywood style engagements and making sure they're done right.